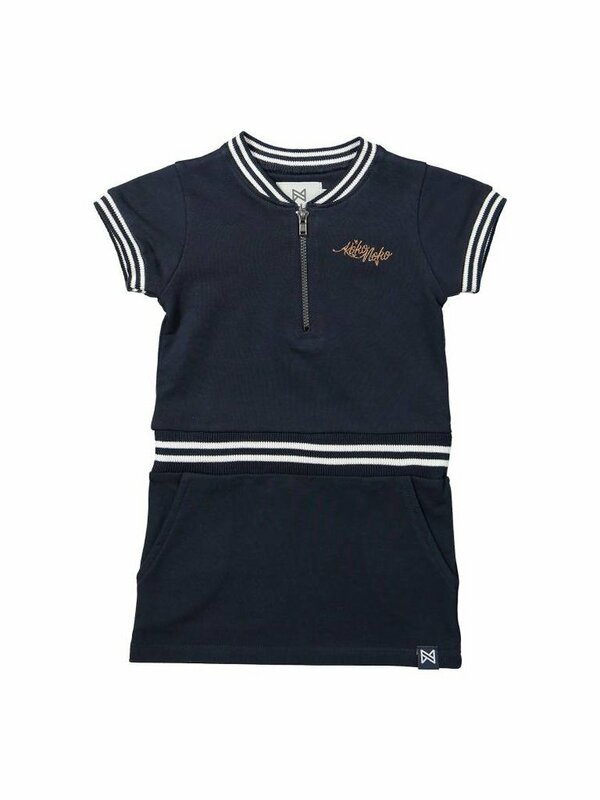 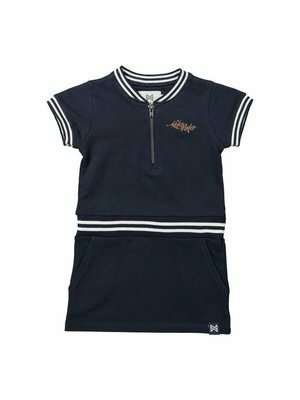 Girls dress blue with zipper. 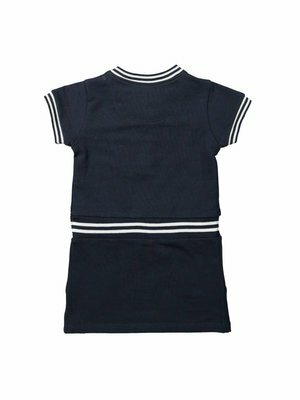 The dress is navy blue in color and is finished with white cuffs. Go sporty! 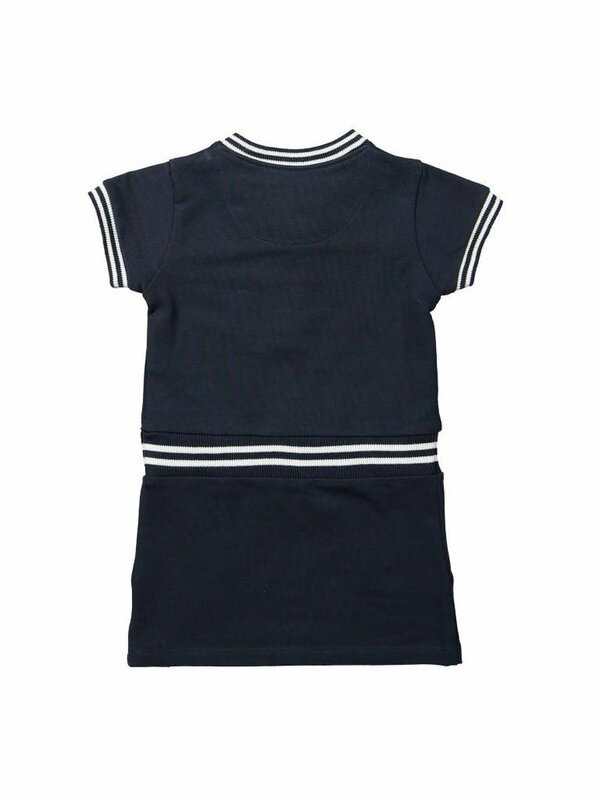 How nice is this navy colored dress!